As a political and economic union of sovereign states, understanding the regulatory framework of the European Union presents a unique challenge for investors. The mechanics of claiming withholding tax in the EU are a case in point. Any investor seeking to reclaim dividend withholding tax needs to take into account the relevant national legislation, as well as EU regulations, and then to consider how these may affect each other. That’s why we are so focused on research at WTax, and why we have local experts in place wherever a withholding tax claims needs to be made. We can get some insight into the complexities of reclaiming withholding tax in the EU by taking a step back and considering some of the founding principles of the union. The European Union was formed on the basis of the free movement of goods, services, people, and capital across borders. These principles are clearly laid out in the founding document of EU law, the Treaty on the Functioning of the European Union (TFEU). The principle of the free movement of capital extends even to the movement of capital between EU Members States and states outside of the EU. This is concretely expressed in Article 63 of the TFEU, which states that “all restrictions on the movement of capital between Member States and between Member States and third countries shall be prohibited”. The European Court of Justice (ECJ) has on several occasions found that tax rules that discriminate between investors resident in a Member State and investors resident in other countries could be construed as a disincentive to investment for the non-resident investors, thus effectively restricting the free movement of capital. There is therefore precedent for investors subject to apparently discriminatory rates of dividend tax by an EU Member State to challenge the differential tax rate. However, there’s an important caveat. Article 65 of the TFEU asserts the right of Member States to protect themselves from infringements on their national law, “in particular in the field of taxation and the prudential supervision of financial institutions”. Article 65 also clearly lays out that Member States are entitled “to apply the relevant provisions of their tax law which distinguish between taxpayers who are not in the same situation with regard to their place of residence or with regard to the place where their capital is invested”. Thus, for investors seeking to claim withholding tax payments on the basis of non-differentiation, as laid out in Article 63 of the TFEU, it is not sufficient simply to appeal to the principle of the the free movement of capital. Investors need also to demonstrate that their funds are comparable to local funds, as per Article 65, and therefore that the differential dividend tax rate under consideration conflicts with EU regulations. Let’s look at an instance in which the principle of the free movement of capital had direct bearing on the national tax legislation of an EU Member State. An example is presented in a 2012 hearing at the ECJ: the joint case Santander Asset Management SGIIC SA v Directeur des résidents à l’étranger et des services généraux and Santander Asset Management SGIIC SA and Others v Ministre du Budget, des Comptes publiques, de la Fonction publique et de la Réforme de l’Etat. The applicants were UCITS (mutual funds) based outside of France that had invested in French firms. Dividends received on those shares were subject to withholding tax of 25%. By contrast, dividends payable to UCITS registered in France were not subject to that tax. The facts of the case seem to present prima facie reason to believe the free movement of capital had been contravened by the differential rate of taxation. It was up to the court to determine whether the applicant UCITS and French funds were comparable. The French government argued that resident and non-resident UCITS were not comparable and that, in fact, the relevant distinction lay not at the level at the fund, but in terms of individual shareholders. Upon a close reading of the relevant French legislation, and with due regard for the composition of the UCITS, the court found that “the situations must be compared only at the level of the investment vehicle in order to determine whether that legislation is discriminatory”. The Court also found that public interest justifications for the differential rate of tax put forward by the French state did not hold water. Concluding that there weren’t adequate grounds of justification for restricting the free movement of capital in this case, the ECJ concluded that “Articles 63 TFEU and 65 TFEU must be interpreted as precluding the legislation of a Member State which provides for the taxation, by means of withholding tax, of nationally sourced dividends when they are received by UCITS resident in another State, whereas such dividends are exempt from tax when received by UCITS resident in the Member State in question”. The generalised language of the ECJ’s finding, pronouncing that it is contrary to EU law for a Member State to apply discriminatory taxation to non-resident mutual funds, is a notable precedent for investment funds seeking to challenge differential rates of taxation in a given EU state. Of course, determining whether a specific claim meets the requirements of comparability is no simple matter and requires professional guidance. For expert advice on how European law applies to a claim, investors should contact WTax. We assign each claim to an interdisciplinary team of experts, including specialist lawyers and tax consultants. 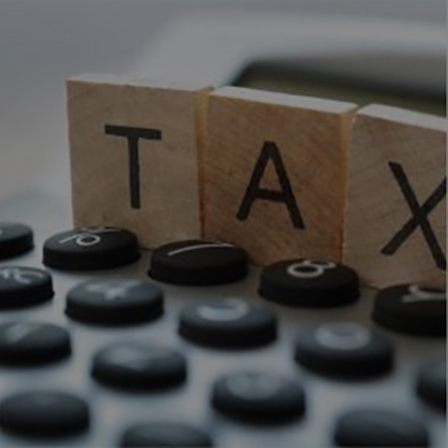 Our focus on research combined with our unique global reach explains why WTax secures investors maximum withholding tax recovery, as quickly as possible.